I finally got around to visiting the Isle of Wight. I had some preconceived ideas about what the island was like, but happily I was very wrong. I’d imagined an island full of mini-Blackpool type resorts, instead I found a very pleasant place. 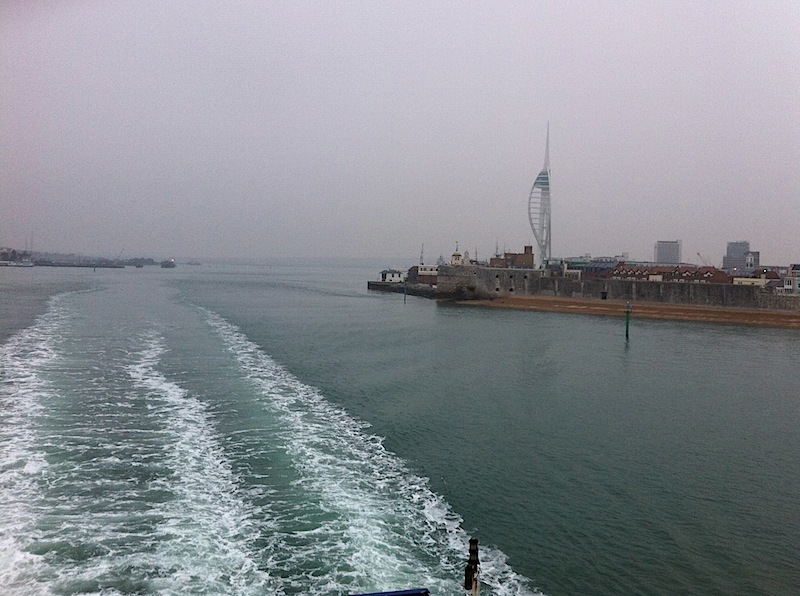 Traffic had been light so I arrived a Portsmouth an hour early and caught the 7am ferry. This meant that I was on the island by 7:45, and being so early I headed to nearby Ryde. What a horrible place – as bad as I had feared the whole Island would be. But at least I managed to find a decent breakfast before heading off to nearby Puckpool Park. 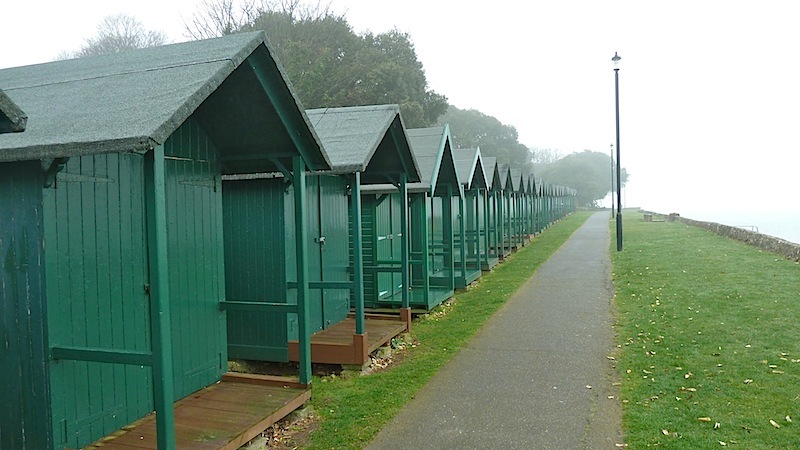 This is a small park with some old gun batteries – Judging by the number of beach huts, it’s a nice place to visit on a sunny day, when the tide is out. Sadly neither was the case, and the mist so thick, it was difficult to see anything. Nonetheless it was an enjoyable walk. By now it was a more reasonable time and places had begun to open. However, the mist had now turned into heavy rain. 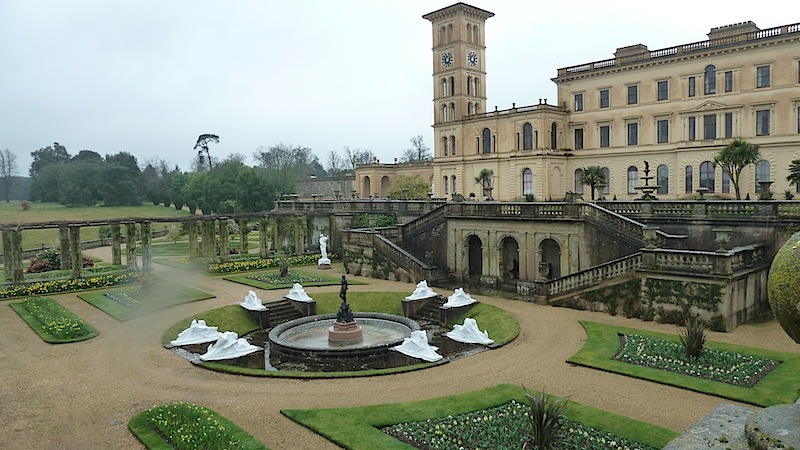 I stopped off at Osbourne House and took the tour. This lasted about 90 minutes and was very interesting. I had a brief look round the grounds, but it was too wet to stay long. There was not much on offer in the restaurant and I settled for a sausage roll. 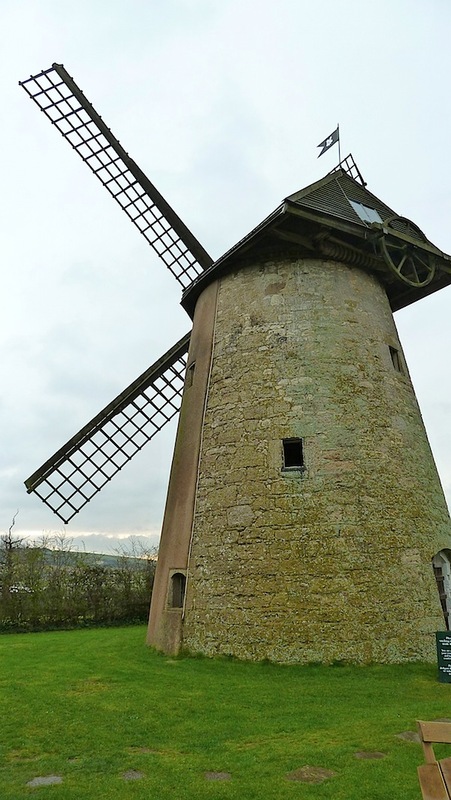 My final visit of the day was the Bembridge Windmill. I then moved on the the Windmill Inn in Bembridge, where I would be staying for the next two nights.